Seymour Hersh: High confidence means we "don't know squat"
WASHINGTON - In December of 1972, The New York Times managing editor Abe Rosenthal asked Seymour Hersh to begin covering Watergate. “You’ve got to be kidding,” Hersh recalls telling his editor. “You’re out of your mind. Hersh had been covering the Vietnam War and had no idea what would come of the Watergate story. About 50 years later, on the latest episode of 1947: Meet the Press Podcast, Hersh told Chuck Todd that covering Watergate was ‘crazy,’ hardly anyone went after a president at the time, unlike today. 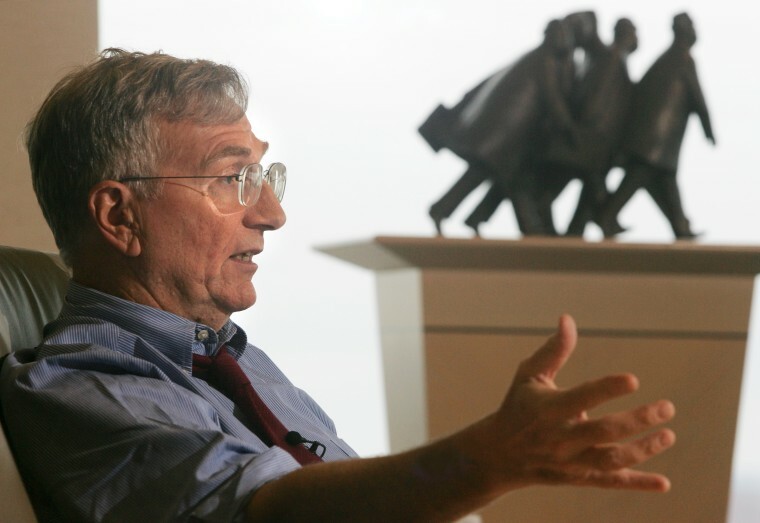 Hersh is largely known for his intelligence and foreign affairs reporting - from the My Lai Massacre, for which he won a Pulitzer, to his reporting on detainee abuse in Iraq’s Abu Gharib Prison, and most recently, on the steps taken by American intelligence in response to political pressure after the September 11th attacks. “That night, on 9/11, Cheney called up the NSA and said, ‘all the filters are off; we’re catching it all,” Hersh said on the decision to allow the NSA to collect information on U.S. citizens, a program that would be exposed years later by Edward Snowden. Years before Snowden leaked NSA documents, Chelsea Manning leaked hundreds of thousands of cables and documents to Wikileaks. Hersh said that he had the opportunity to speak with Julian Assange 15 years ago, and that he believes Assange “used” Manning for his own purposes, but that the publication of many of the documents benefited the country. Edward Snowden is much more complicated, according to Hersh. He says Snowden did the right thing. “He knew they were doing stuff that was completely against every understanding we have of the NSA,” Hersh said.